I and my friend Shanthi Prasad decided to take half a day morning ride somewhere around Bengaluru on event of Ganesh Festival holiday on 25th August 2017. 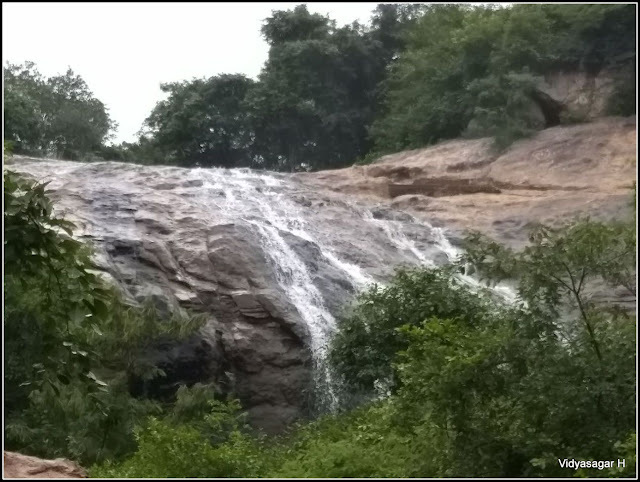 Considering the festival and time factor, choose the Thottikallu Falls. 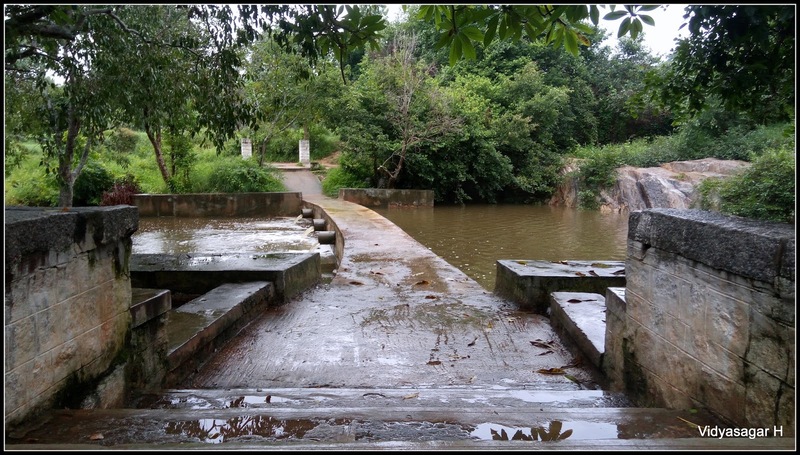 Bengaluru had good rain since 3 – 4 days, thought to explore considering the water level is good. None of friends shown interest to join because of festival day. Shanthi Prasad joined with me near Kanakapura Metro Mall at 6.30 am. The morning was drizzling, yesterday night had good rain. 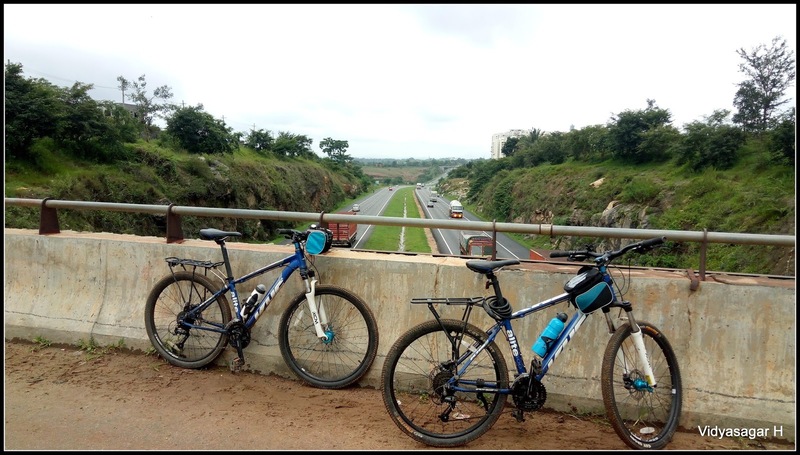 Continued our journey towards Kanakapura. The roads was busy with traffic, people may rushing to native to celebrate the festival. Soon we reached Ravi Shankar Ashram. Continued our journey, reached Kaggalipura. We have to take right deviation at Kaggalipura village. After peddling few KM reached the Thottikallu Falls. The entire valley was so cool and calm, only two soul were present. 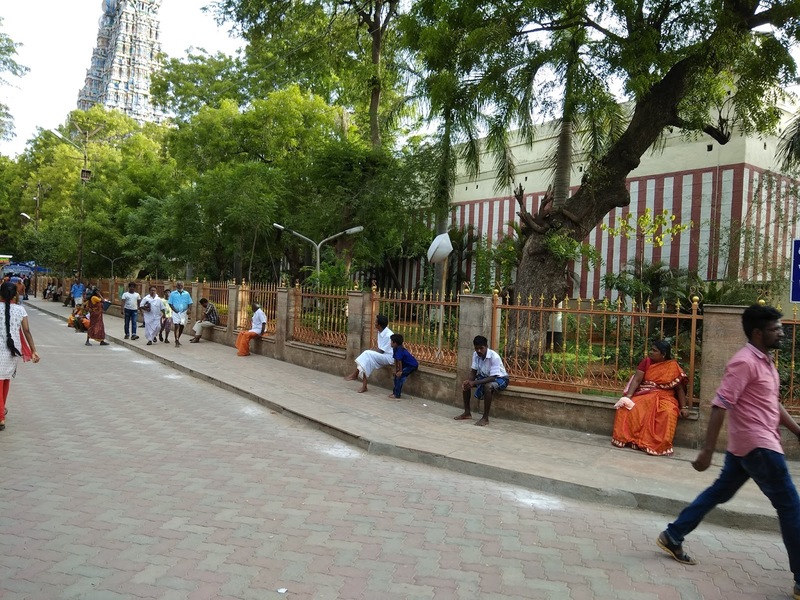 People polluted the entire place with plastic, arrack bottles and other stuffs. Spent good time and relaxed for sometimes. Now the time to turn back to Bengaluru. This time taken round route from Bannerghatta road. On the way had yummy breakfast and finished the ride at 11.30 am. 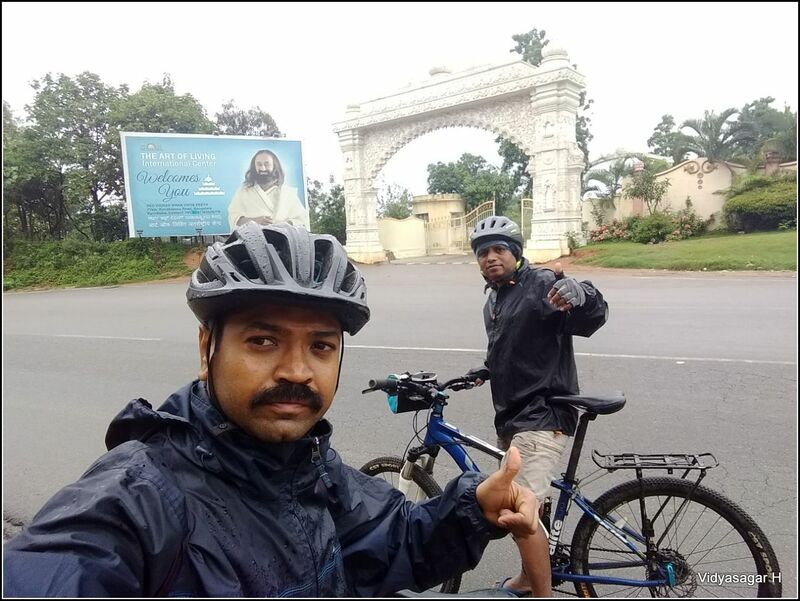 Indeed it was fun-filled cool morning ride. It’s always pleasure to ride home on bicycle from different places. 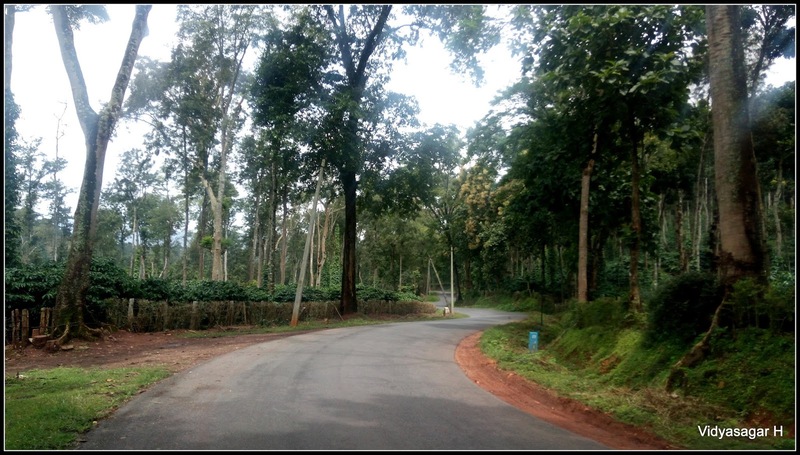 This time decided to do solo ride from Chikkamagaluru to Muniyalu on 12th August 2017. 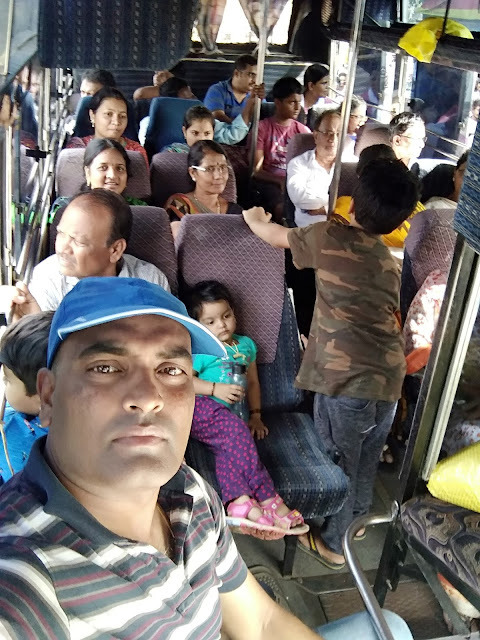 Long weekend of Independence Day, I did not get reservation of any regular buses to Muniyalu. 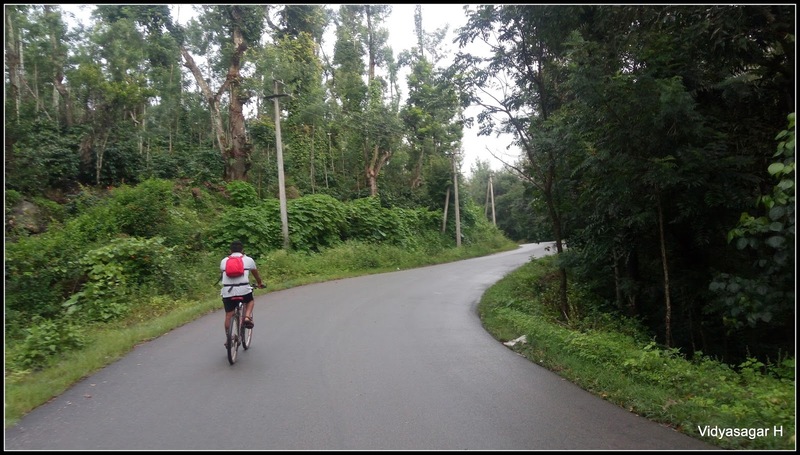 Thought sparked in the mind to take a solo ride challenge from Chikkamagaluru to home, which is around 150+ KMs. Luckily, I got the bus reservation for this location. One of friend Adarsh expressed his desire to join with me, I gave him a green signal to accompany with me. The journey chalked out, day one ride is from Chikkamagaluru to Muniyalu. 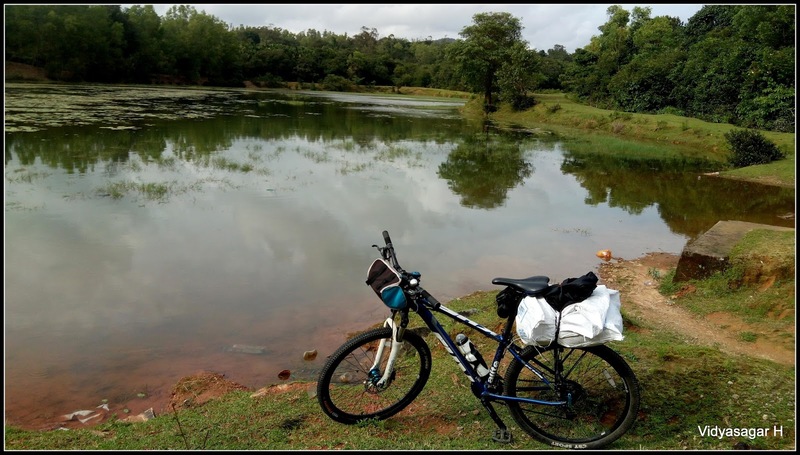 Second day Adarsh will continue solo ride till Udupi – Malpe. I will be stay back at home considering long weekend. We reached late in the morning to Chikkamagaluru around 6.30 am. Bus was late, departure was delayed from Bengaluru since the heavy traffic. 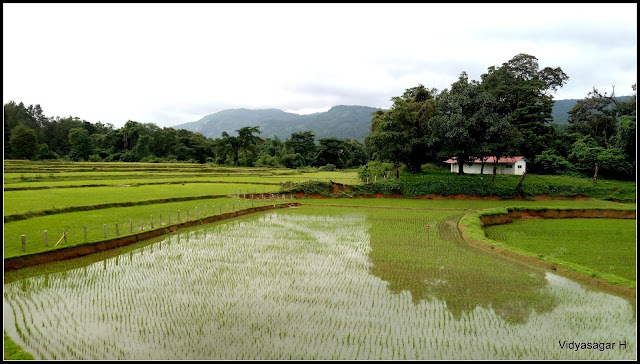 It is my second visit within a month to Chikkamagaluru, previous one is Bisle Ghat ride. Quickly refreshed in the bus stand and begun our journey towards Sringeri. I met one more interesting cyclist Vasishta in Chikkamagaluru Bus stand. 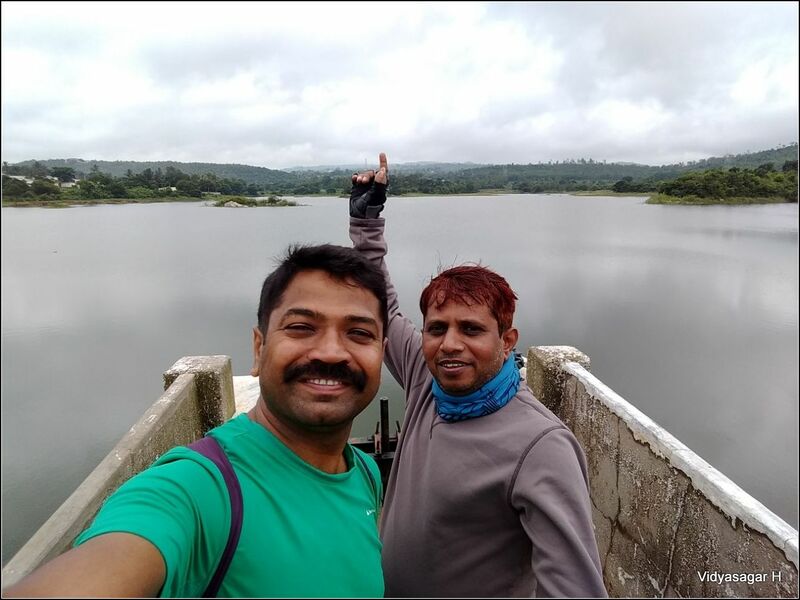 They were two persons and journey was towards Horanadu. He suggested couple of routes towards Sringeri. Considering the time fact, decided to take call later. The journey is started in slow pace, very soon we passed the city and entered into beautiful trail. Adarsh bike started giving trouble, the chain was completely dry and he could not able ride fast. We put coconut oil and did some mechanism continued our journey. 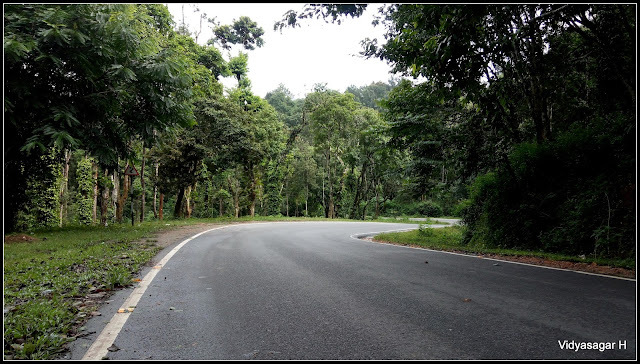 Lonely roads welcomed us with cool breeze, the traffic was much less till to reach Aldur. We reached the Aldur around 9 am, wanted to fill our stomach with breakfast. Found decent Hotel Amantrana and had yummy breakfast. We continued our journey, rolling trail passed through many paddy fields and beautiful landscape. Reached the Balehonnur by lunch time. Finished the lunch and continued our journey. The heat was more, there was no rain. Adarsh had serious health issue, he could not able ride. It was steep rolling trail, decided to take lift till Sringeri or Agumbe. We waited on the highway for any good soul, luckily, we got a good jeep which was carrying the road repair material. Requested to take him till their destination. Now I am on solo ride, pace got speed up. The forest solo ride was awesome. It motivated me to do more and more solo ride. Even I feel better and comfort to do solo. Very soon I reached the Sringeri, called Adarsh and he was at same place. The truck good soul asked him to stay till completion of his work to drop him near Agumbe. I continued my solo journey to catch him somewhere on the way. 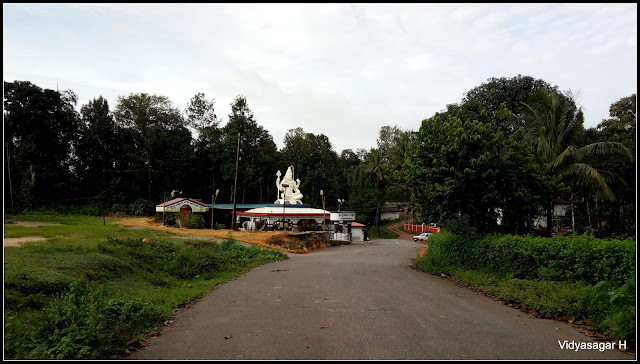 Last year I did Sringeri - Agumbe trail in reverse order [Agumbe – Sringeri]. It is completely rolling terrain, continued my journey towards Agumbe. 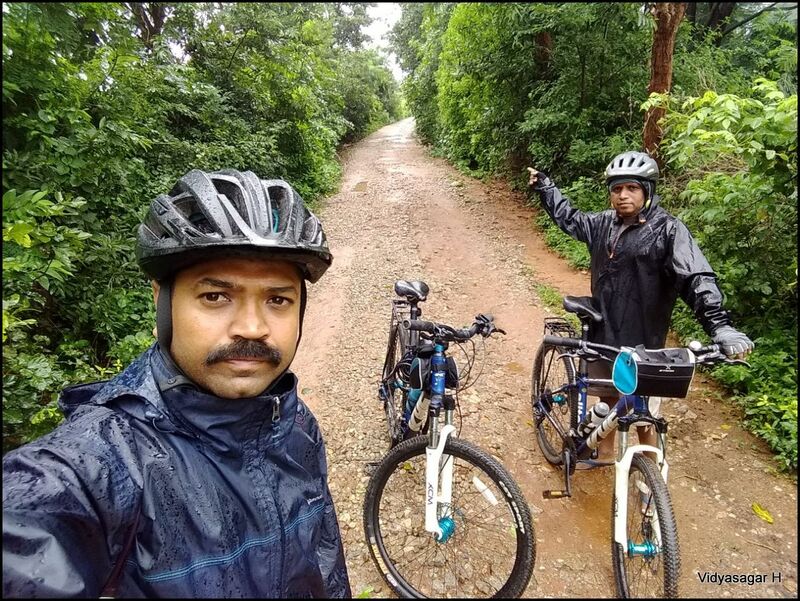 Good to know that Adarsh is peddled till Agumbe after getting a drop. 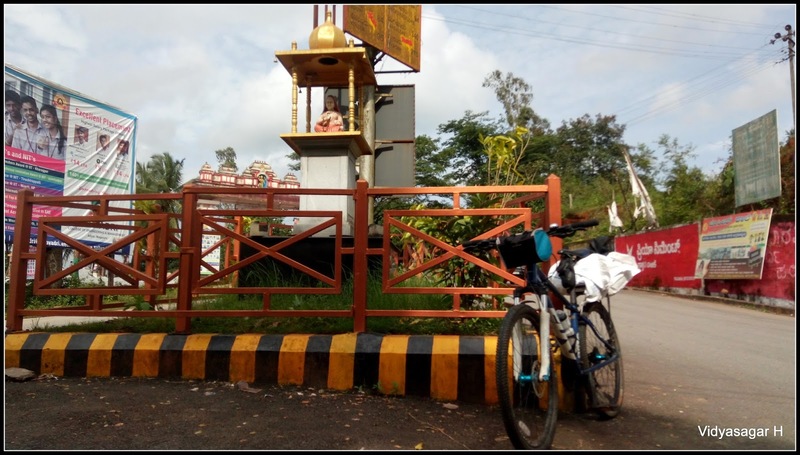 He was waiting in the Agumbe circle. The time was around 5 pm, had Bhelpuri in the circle and relaxed for sometimes. 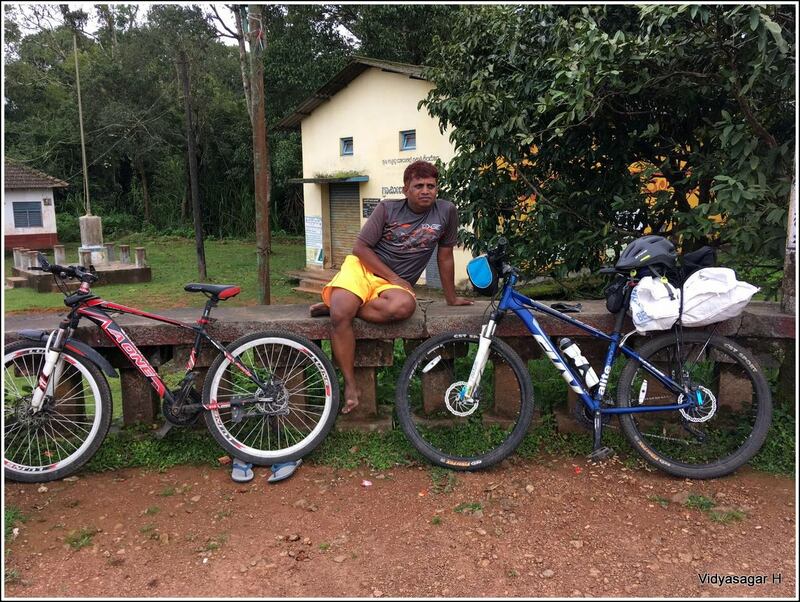 Quick refreshment, continued our journey towards Agumbe Ghat. The crowd was more at sunset point, not to spend much time continued our journey to descend the Ghat. 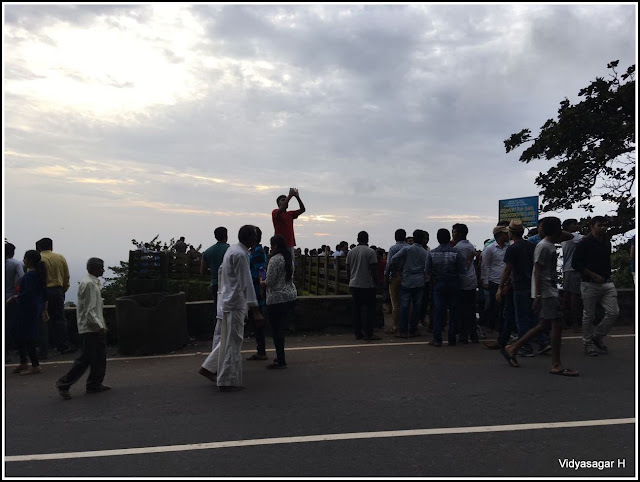 The 12 KMS Ghat ride should be very careful, the traffic was more. 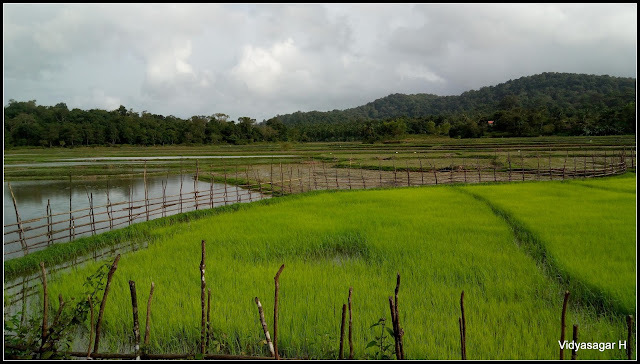 The atmosphere become dark, sun was set in West, we need to cover another 20 KMs Someshwara Wildlife Sanctuary forest trail. The situation was very scary, the single torch battery was down. By great difficulty somewhat I made to give us some light. Really we took an risk, the dense forest trail was made us to fear. 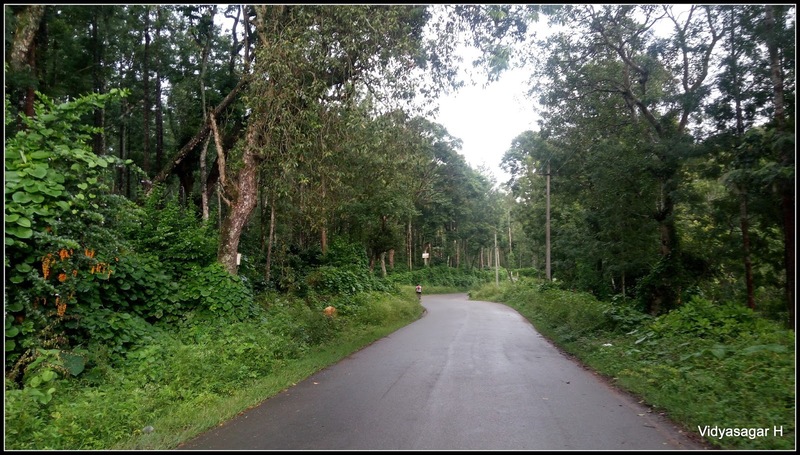 This forest trail is very well known to me, frequently I have been traveling with family for different location. Yes, the forest is really dense. 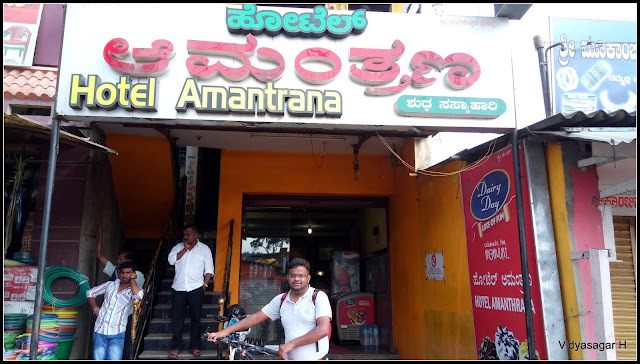 After couple of KM ride, we reached a small village where a shop was opened. Buy new battery and continued our journey. It was surprise visit to home, I did not inform about my arrival on bicycle. Rolling trail at finally reached Muniyalu at 9 pm. As usual they scolded me taking the long journey risk. 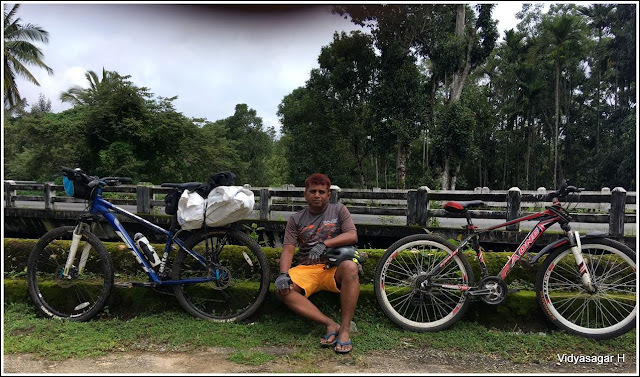 The memories are unforgettable, yes indeed 150+ KMs is the longest one day journey ever. 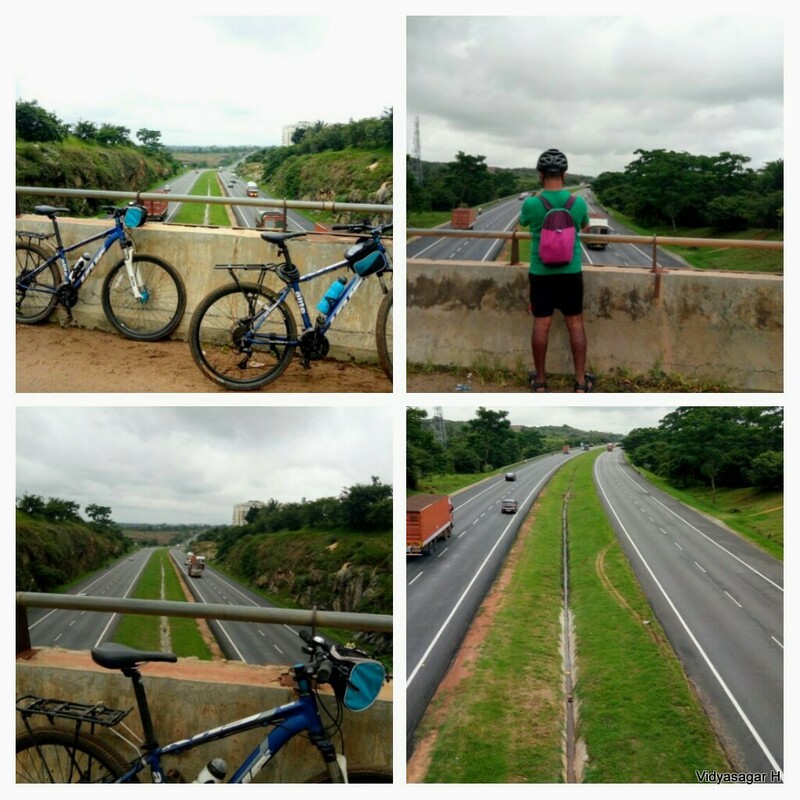 I really appreciate Adarsh to completing this journey and mean time I would advise please take care about your bike. Rameshwaram!!! The place always sounds me very special. The reason is so thrilling, two years back I had been this place with lovely buddies on Bullet ride. Devine force always pushing me to get family to this wonderful place, the time took almost two years. Yes, we are on family holy trip with beloved friend’s family on 4th – 5th August 2017. Planning begun three months before. Specially I wanted to organize this holy trip (yathra) to senior family members sometimes in August month. The dates were not finalized, family members were more curiosity to know about schedule. The most important and diversity of this trip is, many friends joined with their family from different location of Bidar, Gulbarga, Benglauru, Mysuru, Muniyalu & Chithradurga. List of members become 30+. Finally, the dates finalized on 4th – 5th August 2017. The mode of transport chosen INDIAN RAILWAYS from Bengaluru to Madurai and back. Booked the stay in Goswamy Madam Trust. From Madurai to Rameshwaram by taxi. Tickets are booked batch wise to all teams who are coming from different place. Exciting day at last came, we all gathered at Bengaluru City Railway station at 8.30 pm. Unfortunately, two families could not able to join with us, due to some medical emergency. However, we could able to make the total final count of members is 30. Introduced ourselves to new members, by the time train arrived exactly at 9:15pm from Mysuru. We all settled our respective seats without more difficulties. Bidar team brought desi tindi of Jawar Roti, Dal, verities of pickles, everyone enjoyed the yummy dish. Thanks to the team. The groups were formed in the bogie, according their age, taste etc. Elder women group members were so busy in talking and having fun. After many complaints from adjacent seats, team stopped talking and retired for the day. 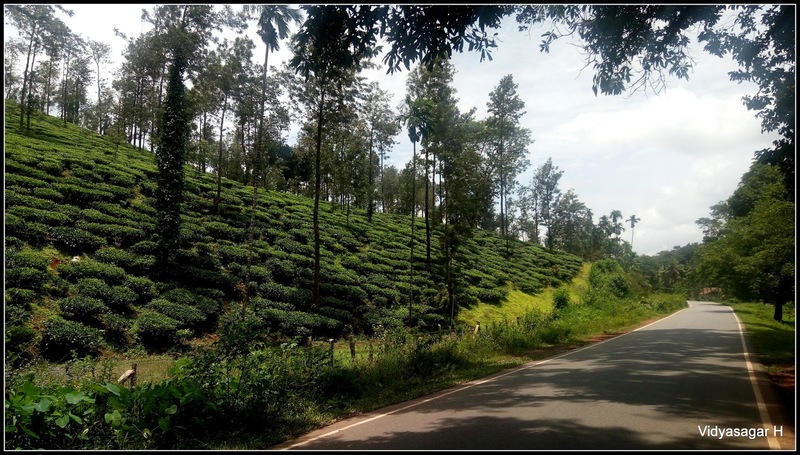 When I opened eyes, time was around 6.30am, we were in kodaikanal road station. It took another two hours to reach Madurai i.e., 8.30 am. As per our initial plan, from Madhurai to Rameshwaram travel in local train. Unfortunately, we come to know that, there are NO any trains available now. Trains are available morning 6 AM, Noon 1 and evening 6pm. Waiting till 1 PM was challenging and time constrain, immediately we have taken a call to hire a private vehicle. After many round negotiation, hired two mini bus to accommodate 30 members. Now our beautiful journey begun. All were very hungry, certainly we needed badly break for breakfast. After crossing Madurai city, we found a descent hotel. Luckily it has all facility of freshen up. Team quickly got refreshed & filled yummy breakfast. Journey is continued towards Rameshwaram. The most fun filled enjoyed part of journey is, Mini Bus. There was no age limit of talent exposing, especially children Rohit, Saanvi & Sachi shown their singling talent. Getting motivation, elders too joined this fun filled singing program. Suddenly BUS stopped, we are already on the popular PUMBAN bridge. We all amazed to watch beautiful view, bridge mechanism. We spent good time for photography & selfie. Filled our stomach with mangoes, cucumbers pineapple etc. Now we were just 10 KMs away to Rameshwaram. We reached around 1 pm to Goswami Madam Trust (Lodge). We finished the check-in formalities and occupied our rooms. Team gathered @ 3:30 pm to visit temple for darshan. Re-open of the temple is 4pm. We hired a guide to know more about this ancient holy temple. Group wise we entered temple. There are 23 different holy wells in the temple premises. Each & everyone has its own importance. Guide clearly explained about it. The experience which we had was amazing. The holy water of each well has its own story and it is entirely different. One of the interesting fact which I observed, based on water properties, wells are named. After this holy bath, we all felt completely rejuvenated and had different experience which we never. Around 7 pm we finished our darshan and followed by dinner. The day was really packed and memorable to all of us. Relaxed sometime on the beach and retired for the day. We woke up early morning at 4am to pay the Spatika Linga Darshan. 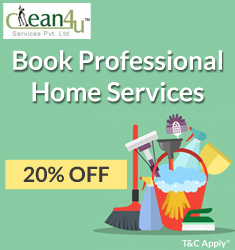 It has very effective and unique experience to all of us. 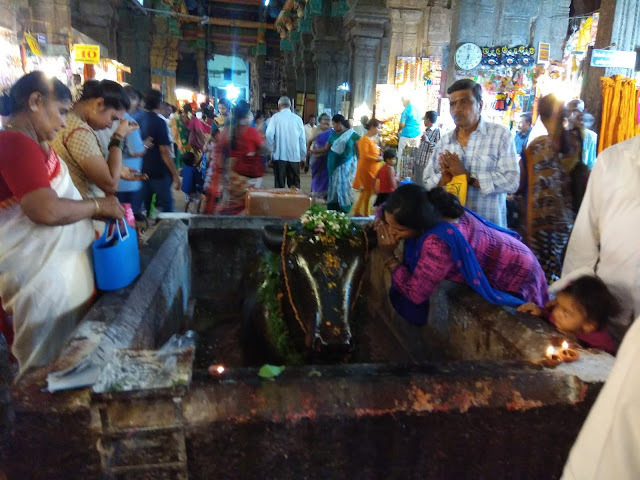 After spatika linga darshan, our feel of satisfaction was beyond everything. We could actually feel that vibes in the temple. One could see that charm or that zenith of satisfaction on devotes face after this darshan, had prasadam. 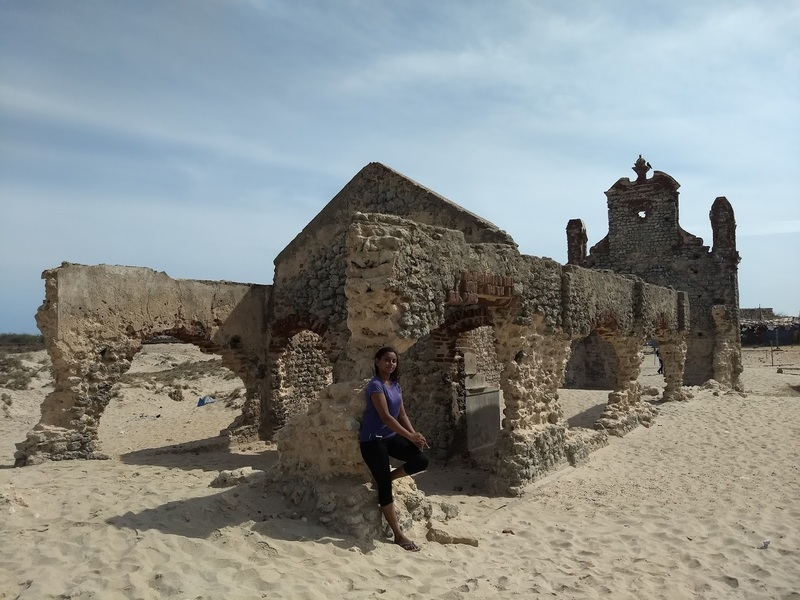 Our next destination was Dhanushkodi. I love this place very much. Of course, it abounded ghost town, still the place so attractive to all. The beauty about this place is, Bay of Bengal sea meets to Indian Ocean. We can notice, the sea never merges with ocean due to density difference, we can identify line of separation. This view is so wonderful and which made me so happy. The day of joy is dedicated to children and elders. All enjoyed in the beach and spent good time in photography. Many of us purchased the sea items of Shankh and other ornaments. 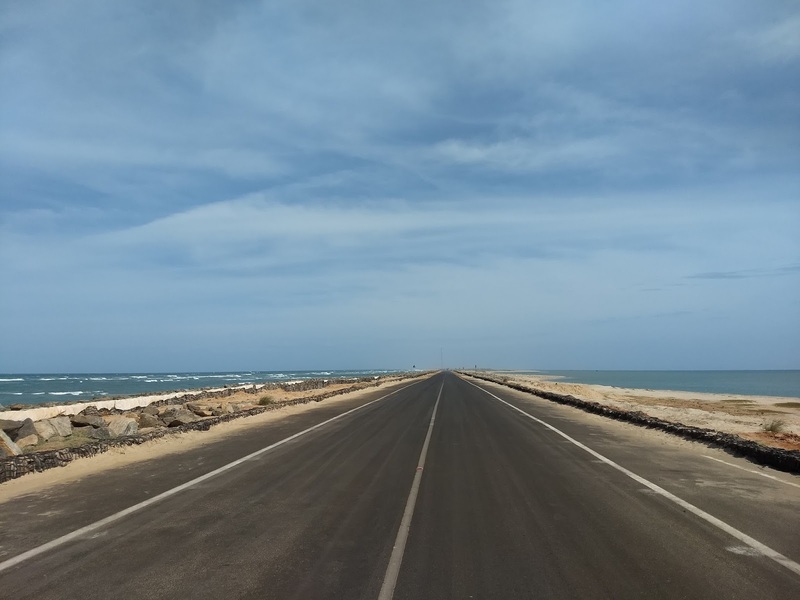 After good time spent at Dhanushkodi, continued our journey back to Rameshwaram. 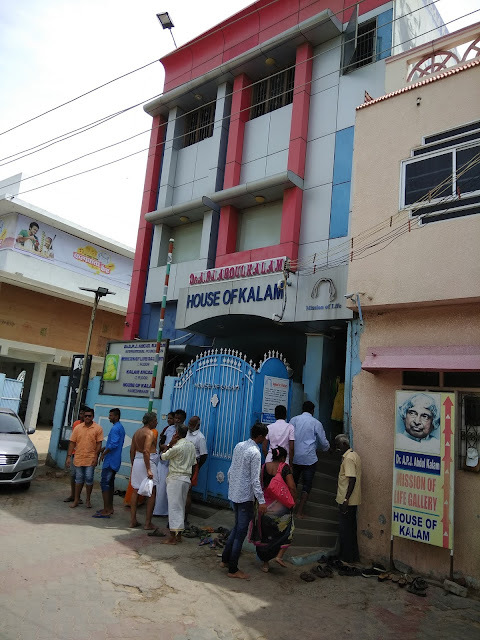 Next destination is Dr. APJ ABDUL KALAM, Former President of India home. Kalam house converted into beautiful museum. It is really worth to visit in Rameshwaram. 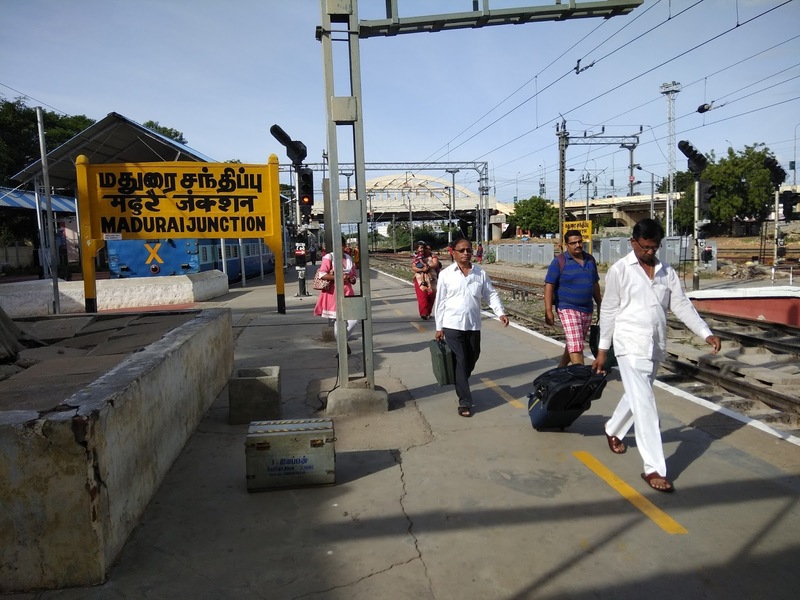 The time is arrived to say goodbye to Rameshwaram. We all reached the lodge, relaxed for sometimes and packed the luggage to start journey back to Madurai. Return journey was again fun-filled, reached Madurai at 6 pm. Our only place to visit in Madurai was Meenakshi Temple. The temple having four MAHADWARA which are in different direction. The temple parangana is so big, we really get confused to understand, from which door we entered. Spent some good time and paid darshana to Meenakshmi Amma. Journey was come to an end, train is at @ 11.30pm. Remaining time wanted to kill in shopping. The shopping lovers had a good time. Finished the dinner, rushed to railway station. The train was on time, we all boarded and settled in our respective seats. We just recalled our two days memorable journey and good bye to the team hoping to meet in the next event.